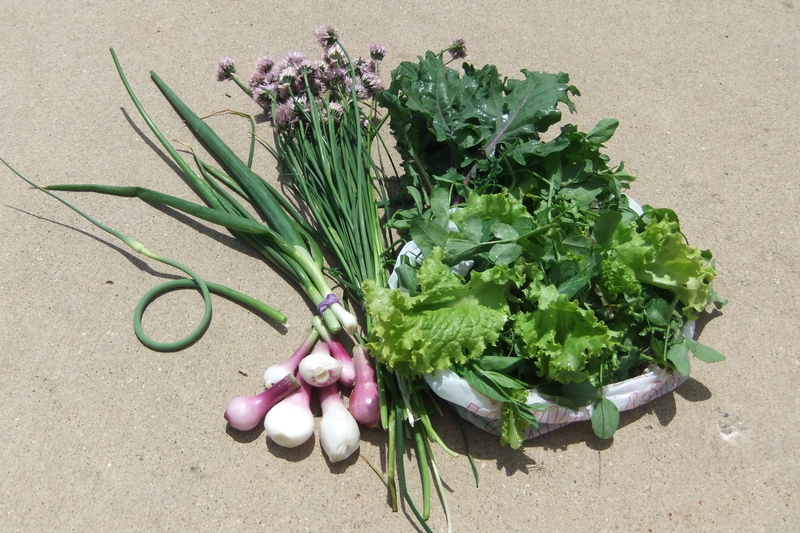 The First 3 Weeks of our CSA…including recipes! We just finished week 3 of our very first CSA (Community Support Agriculture) program ever! Take a look at what our 11 CSA members have enjoyed so far this summer, plus recipe ideas for you to try at home! 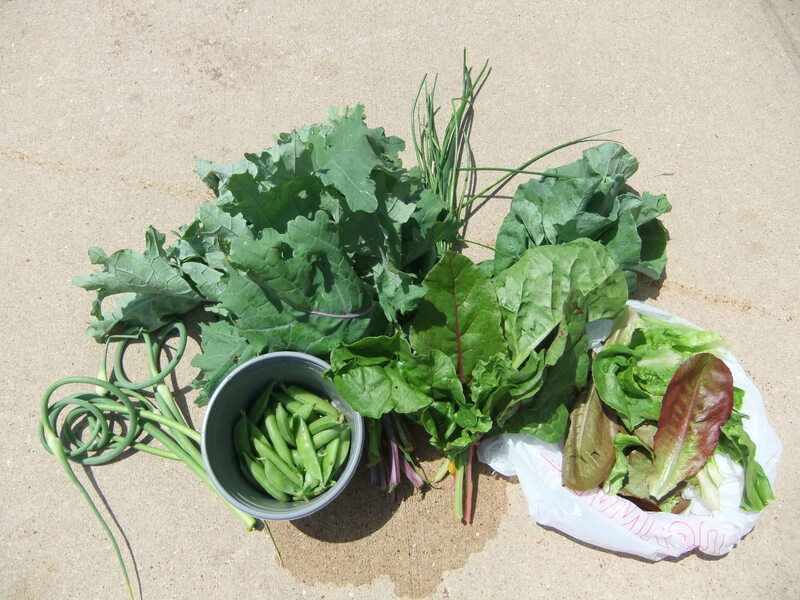 Week 2: kale, purslane, garlic scapes, salad mix (lettuce, beet greens, and baby swiss chard), and cilantro. Cilantro was generously donated by our friends at FH King Students for Sustainable Agriculture, the UW student farm that our program director, Natalie, also works for! One of our CSA members recommended this Garlic Scape Carbonara recipe. Never eaten broccoli greens before? Cook them like you would collards or try-out this recipe for Sauteed Broccoli Greens. Let us know what you think! 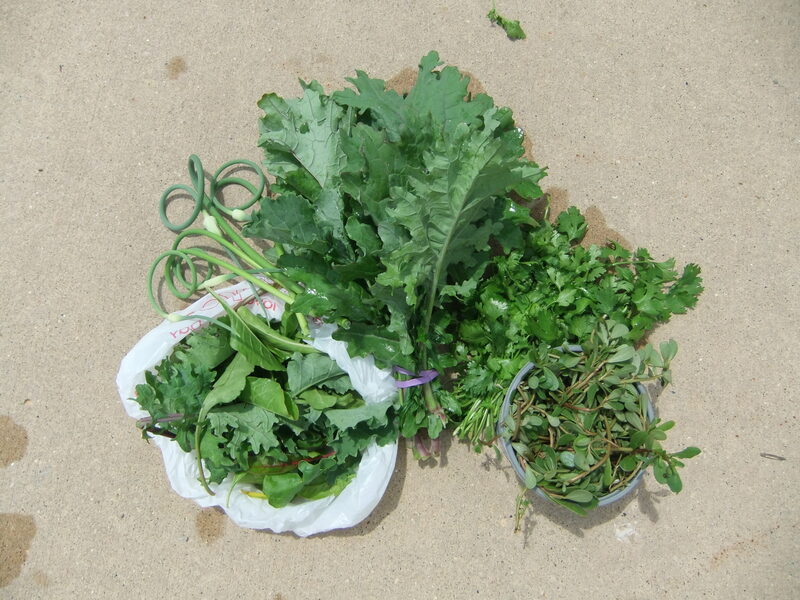 This entry was posted in Local Programs and tagged carbonara, chives, Community Supported Agriculture, CSA, garlic scapes, Growing Food and Sustainability, kale chips, Middleton, purslane and parsley salad, recipes, sauteed broccoli greens, WI by growingfoodandsustainability. Bookmark the permalink.